Dyna-Therm specializes in the design, manufacture, re-design and retrofitting of separation equipment and steam drums for the process, power and petrochemical industries. 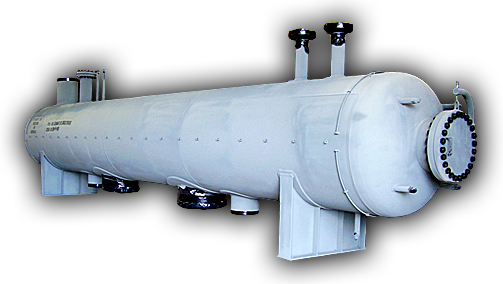 Our steam drums and separators are based on proven designs and decades of experience. We design steam drums and separators to handle both common and difficult problems. Our engineers custom design each unit to your specific specifications and code requirements. Dyna-Therm's separators and steam drums have been in use by all major contractors and process plants throughout the world for 50 years. M. Plant in Canada was loosing 1M/day- Put in our steam drums and increased production 25% day. Plant in Pasadena kept shutting down each 3 months to clean blades- then put our unit in and 4 years later nothing on turbine blades.